That's Popeye. An underdog with bulging forearms, a mean uppercut and a love of canned spinach. Unassuming, unsophisticated and undeterred by a challenge, from the minute he walked into the comic strip, THIMBLE THEATER, and muttered his famous “’Ja think I’m a cowboy?” line, Popeye the Sailor Man captured the hearts of millions of fans around the globe. As the star of his own comics strips and animated series on the big screen and small, Popeye became quickly ingrained in American culture, and today remains one of the most recognizable pop-culture icons in the world. The only thing Popeye loves more than spinach and the sea is his flighty, flirty girlfriend, Olive Oyl. Popeye’s adopted baby nephew, who can be a real handful! 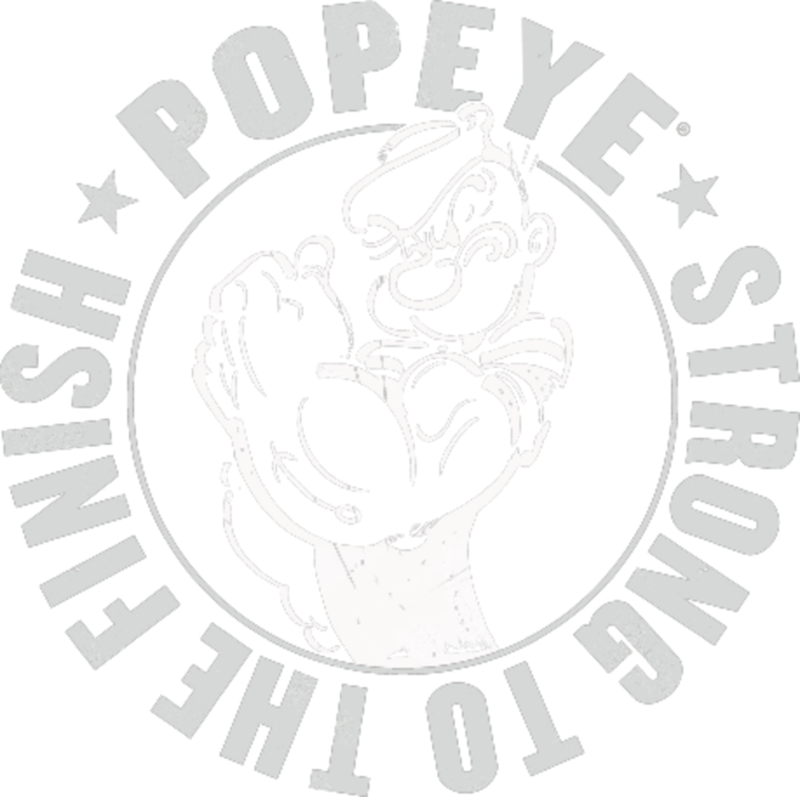 A hard-headed, lead-fisted, antagonizing brute who is always trying to ruin Popeye’s day and steal his ‘goil’. AKA J. Wellington Wimpy is the world’s most notorious hamburger-obsessed moocher. Popeye’s magical pet from the 5th dimension. Popeye is tough, he’s fit, and he’s got grit. He yam what he yam — a rugged sailor who is always up to the challenge and never backs down. Popeye's healthy and active lifestyle gives him the confidence to rise to any occasion. And, as the embodiment of strength and fitness, he inspires us all to work hard, be persistent, and stay strong to the finish…with the help of a hefty amount of spinach. "Strong to the Finish” captures the active and motivational spirit of the brand. Popeye seeks to inspire fans around the world with product and experiences that make them feel #popeyestrong.